Our product range includes a wide range of knitted gloves, seamless cotton knitted gloves and seamless knitted gloves. We offer wide range of Knitted Gloves that are made from finest yarn and serve the end user for a long period of time. Our personnel procure this range from very reputed vendors in the industry. 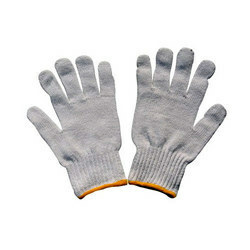 Keeping in mind the changing demands if the customers, we are engaged in offering wide range of Knitted Gloves. We provide our clients a range of cotton knitted seamless gloves, that are available in various sizes and colors to choose from. 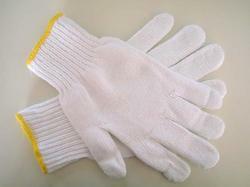 We specialize in manufacturing highly qualitative Seamless Cotton Knitted Gloves. Our range of gloves stretches for perfect fit that allows proper ventilation and helps in keeping hands dry and comfortable. We are manufacturing and supplying one of the most brilliant quality Seamless Knitted Gloves for various industrial, laboratory and mechanical purposes. We provide our clients a range of cotton knitted seamless gloves, that are available in various sizes and colors to choose from.